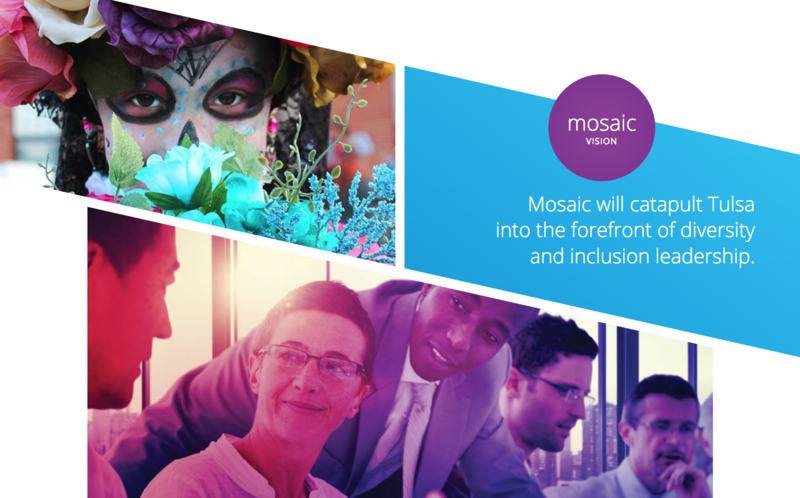 The Tulsa Regional Chamber needed a website to champion Mosaic and help the program achieve its vision to catapult Tulsa into the forefront of diversity and inclusion leadership. A website to educate, lead and influence businesses on creating diverse and inclusive workforce cultures to enhance their own competitive advantage, as well as the overall economy in northeast Oklahoma. The website is now a hub for the Tulsa Regional Chamber to engage business leaders and share information on the business case for diversity and inclusion. Mark DeMoss provided graphic design and web development services.